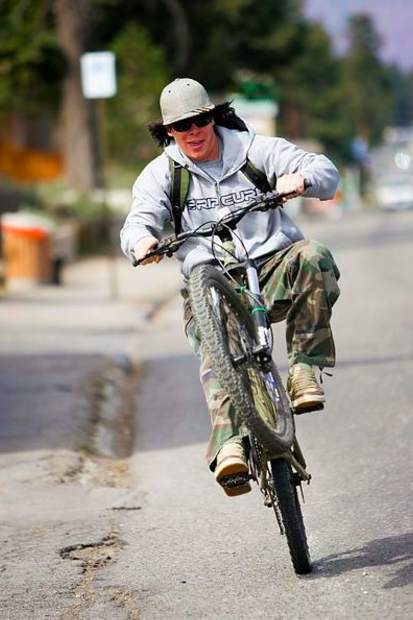 The 13th annual Tahoe Bike Challenge starts Friday, June 1, and continues through Thursday, June 14. 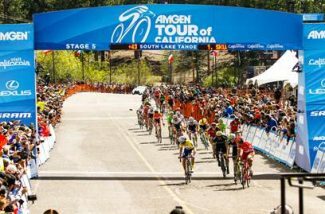 The two-week event, organized by the Tahoe Regional Planning Agency (TRPA) and Lake Tahoe Bicycle Coalition, is a friendly basin-wide competition to see what teams and individuals can rack up the most trips and miles biking, walking or taking transit. Reducing automobile usage improves air and water quality, public health and roadway congestion at Lake Tahoe. Through 12 years of Tahoe Bike Challenges, participants have made tens of thousands of bike trips and reduced pollutants from vehicle emissions. The challenge includes special events and activities to help increase biking and walking by students, residents and visitors, and offers prizes to the teams and individuals that report the most trips and miles. 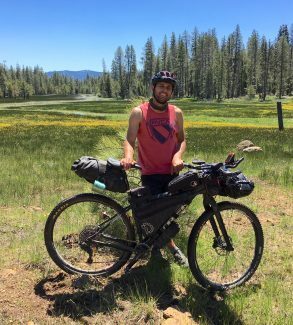 People can create teams, join teams or sign up to compete individually and then report their bike trips and miles at http://www.TahoeBikeChallenge.org. The Lake Tahoe Bicycle Coalition website, http://www.TahoeBike.org, offers an interactive bike map for people looking for a new route to work, school, shopping areas or their favorite recreation destination. This year’s Tahoe Bike Challenge is sponsored by Blue Zone Sports, California Highway Patrol, Clean Tahoe, Lake Tahoe Unified School District, Lake Tahoe Visitors Authority, League to Save Lake Tahoe, Tahoe Optimists, and Vail’s Epic Promise. 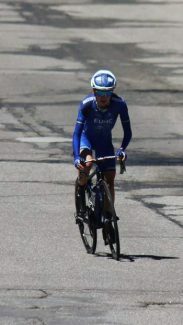 The Tahoe Bike Challenge starts with a Friday, June 1 kick-off event from 3 p.m. to 7 p.m. at Blue Zone Sports (2011 Lake Tahoe Blvd., South Lake Tahoe). The event includes free food and refreshments, free bike tune-ups, a bike rodeo for children, bicycling classes, a bike parade, a demonstration of community bikeshare programs, recognition of last year’s bike challenge winners, and a chance to win prizes. Volunteers are being sought for Tahoe Bike to School Week, June 5-7, and for a bike rodeo at South Tahoe Middle School from 8 a.m. to 1:30 p.m. on Thursday, May 31. People are needed to help staff bicycle rodeos at local schools, help students walk or bike to and from school, and tally the number of students participating. To volunteer, please contact Rich Looney at 775-589-5290 or rlooney@trpa.org. Volunteers are also being sought for a Community Bike Path Cleanup Day from 5 p.m. to 6:30 p.m. on Tuesday, June 12. The cleanup event will be followed by a happy hour from 6:30 p.m. to 7:30 p.m. at the League to Save Lake Tahoe, 2608 Lake Tahoe Blvd., South Lake Tahoe. 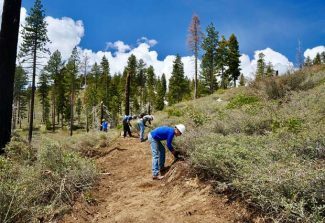 To volunteer, contact Catherine Cecchi at Clean Tahoe, 530-544-4210 or catherine@clean-tahoe.org. This article was provided by the Tahoe Regional Planning Agency.